MD Biosciences' talented scientific team possess many years of experience evaluating wound healing therapies, with particular expertise in wound healing studies in the pig. 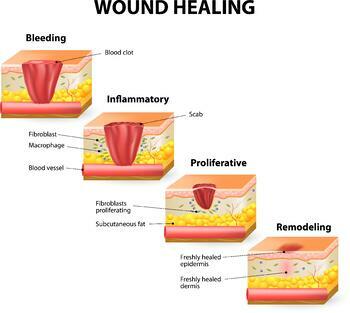 Skin wound healing is a complex biological process activated by signaling pathways of epithelial and non-epithelial cells, which release a myriad of cytokines and growth factors. 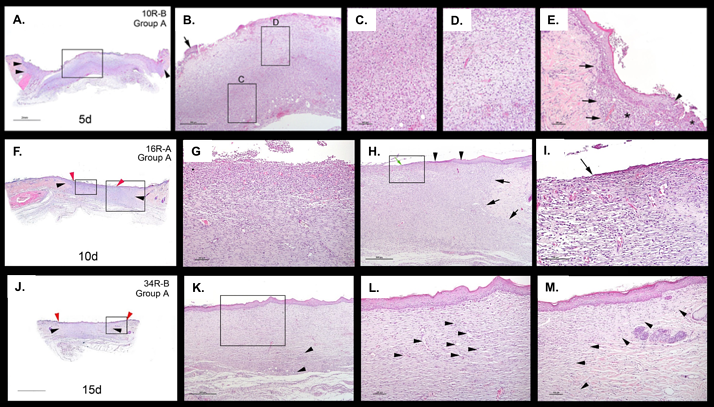 Rodent models of full thickness incisions comprise a large portion of preclinical wound healing research, however there is a fairly low correlation between the healing process of rodents and that of man. It has been shown however that larger species such as the pig have up to 78% correlation to human wound healing . Therefore, the pig is the ideal species for wound healing studies due to the myriad of similarities between pig and human skin, and offers great advantages in wound healing research. MD Biosciences offers various models of wound healing in both rodents and pigs. While rodent models provide data for earlier research stages, pig models are ideally suited for wound healing efficacy studies. Perhaps one of the most compelling arguments for use of pigs in wound healing studies is the similarity in the physiological processes through which pig and human heal. Pig and human close partial-thickness wounds primarily through re-epithelialization, rather than wound contraction as is the case with small animals such as rodents. Impaired wound healing can also be evaluated by using a diabetic animal. Traditional methods of wound healing measurement have inherent limitations. Measurements are affected by many variables including inter-personnel variability, inter-technique variability, inter- and intra-wound variability and wound changes over time. To overcome these obstacles, MD Biosciences has validated and integrated the Silhouette Star System (Aranz Medical), a highly translational 3-D digital wound assessment device that, together with its proprietary software, allows our scientists to accurately image wounds, quantify their dimensions and track them over time. The accuracy of the system is within 2% for area, 1% for perimeter and 5% for depth or volume (Aranz Medical). 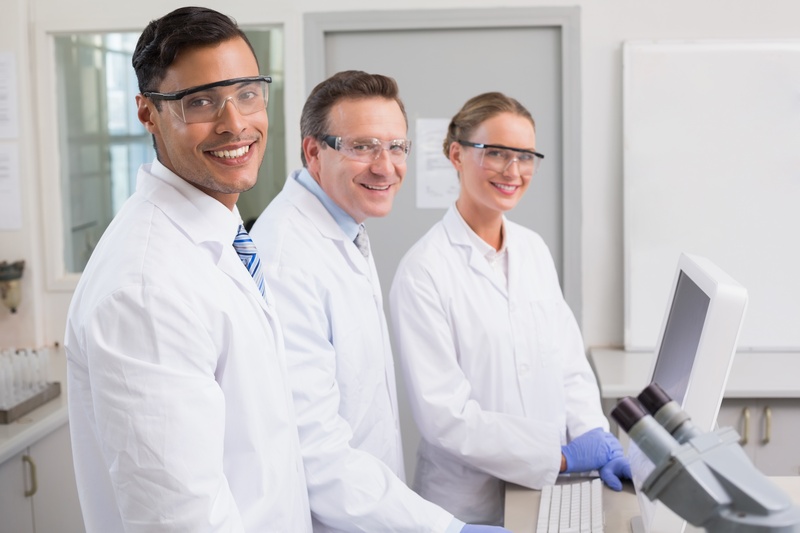 The system is approved by the FDA for clinical use, providing yet another layer of confidence for the results from these translational wound studies. 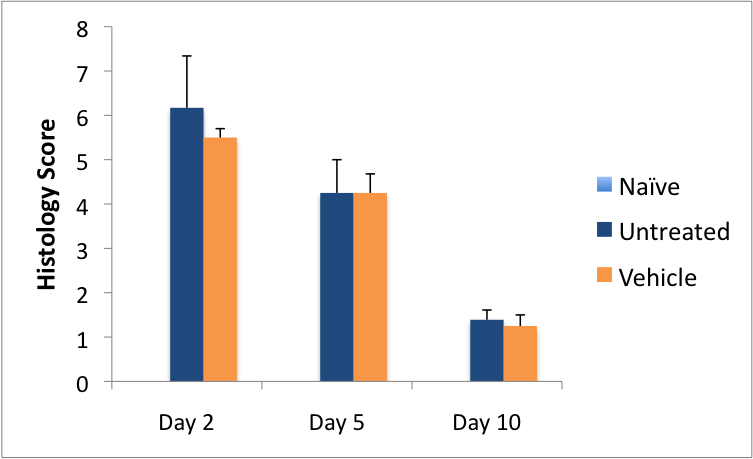 In large animal trials at MD Biosciences, the Silhouette Star has been found to consistently generate wound healing data with very tight error bars. Talk to the experts at MD Biosciences to learn how the newest technologies could be used in your studies as well. * Models presently in development pipeline, contact us for details or co-development opportunities. Don't see the model or assessment you require for your studies? Our scientists are highly experienced in rapidly validating models from the literature. Please speak with a scientist to discuss your requirements in detail. Figure A. Sub-gross image of the healing wound, including full bridging by nearly full-thickness dermal scar (~250µm width). The scar is traced with a black line and extends through the dermis and the superficial subcutis. There is slight fibrosis in the sub-cutis layer with no inflammation. Figure B. High magnification of the scar (marked in asterisks). Inflammatory infiltration is not identified. A-C (Day 7) Figure A. Skin defect is filled with a full-thickness and continuous layer of granulation tissue (GT). Arrowheads: edges of GT. Figure B. Medium magnification of the GT. Arrow: epidermal edge. Asterisks: crust composed of fibrin, blood and neutrophils. Figure C. High magnification of the contralateral edge. Arrow: advancing edge of the epidermis. Asterisk: serocellular crust. D-G (Day 21) Figure D. GT fills the skin defect and contains small surface irregularities. Arrowheads: interface of pre-existing dermis and GT. Arrow: area shown in G. Figure E. Medium magnification of boxed area shown in D. GT is fully covered by a layer of newly grown epidermis above which there is a serocellular crust (white asterisks). Figure F. High magnification of the boxed area in E. Figure G. High magnification collections of multinucleated giant cells and other mononuclear cells (arrows) deep in the GT. A-E (Day 5) Figure A. Sub gross image of the healing wound. Arrowheads: dermis flanking the granulation tissue. Figure B. Low magnification of granulation tissue (GT) at different stages, depicted as the level of cellular density (Figure C and Figure D show high magnification). Figure E. High magnification of the edge of the wound. Arrows: interface between GT (asterisk) and the dermis. Arrowhead: Edge of the epidermis in the process of re-epithelialization. F-I (Day 10) Figure F. Sub gross image of the healing wound. Arrowheads: Dermis flanking the granulation tissue (black); Opposing edges of the epidermis (red). Figure G. High magnification of typical appearance of GT which has not undergone re-epithelialization. GT at the bottom of image is older and more mature. GT in the superficial third of section is inflamed and less mature. Figure H. Medium magnification of edge of the wound. GT fills full thickness of the wound bed. Arrows: GT junction with the dermis; Arrowheads: newly formed epidermis covering GT (re-epithelialization). Figure I. High magnification of the advancing epidermis (arrow) with mildly inflamed GT below. J-M (Day 15) Figure J. Sub gross image of the healed wound. Arrowheads: junction of the dermis and GT (black); Edges of the pre-existing epidermis (red). The surface of the scar is nearly flush the flanking skin. The epidermis between these was formed de novo via re-epithelialization. Figure K. Medium magnification of the central region of the scar. A thick band of GT is covered by newly formed epidermis. Arrowheads: very small collections of mononuclear cells. Figure L. High magnification features of GT of intermediate maturity are seen. Arrowheads: blood vessels. Figure M. High magnification of the interface of the GT and the dermis (arrowheads). Sillivan, T., Eaglestin, W., Davis, S., Mertz, P. The pig as a model for human wound healing. Wound Repair and Regenerative Medicine. 2001. (9): 66-76.